Corowa Recreational Flying is a RA-Aus accredited flight training facility located on the Murray River border town of Corowa, NSW. We offer quality flight training at an affordable price. To obtain your pilot certificate you will require at least 20 hours flying including 5 hours solo. Corowa is conveniently located within an easy drive from other regional centres such as Albury, Wodonga, Benalla, Wangaratta and Yarrawonga/Mulwala. An Air Experience Flights (Trial Instructional Flight) with Corowa Recreational Flying is the perfect introduction to the world of aviation. You sit in the pilots seat of a modern recreational aircraft and take control under the supervision of an instructor. You also get to see the local Corowa/Rutherglen district from the air. Flights last between 30 and 60 minutes. The choice is yours. 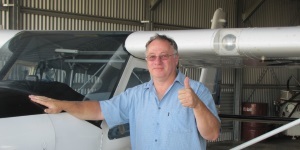 A Corowa Recreational Flying air experience gift certificate may make the perfect gift for birthdays, anniversaries, Mothers Day, Fathers Day, Christmas or simply any occasion. They can be used for a Trial Instructional Flight (TIF) or for a lesson package. Gift certificates can be purchased for as little as $100 for a 30 minutes flight, $ 200 for a 1 hour flight or $1195 for a 5 hour introductory learn to fly starter package. The choice is yours. 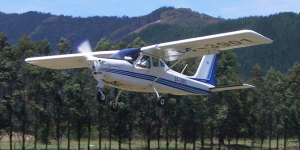 Just contact Corowa Recreational Flying to discuss or purchase online.